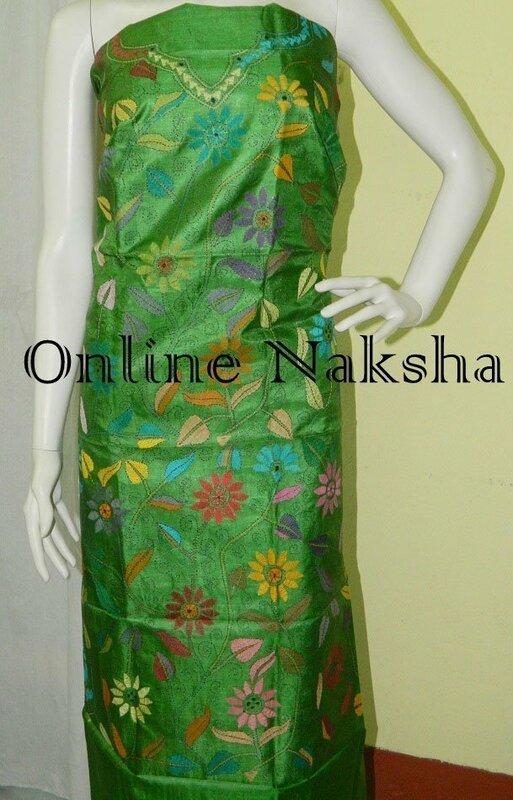 Shop this Green Tussar Kantha Kurti Piece online at reasonable rate. This is soft in texture and light in weight. 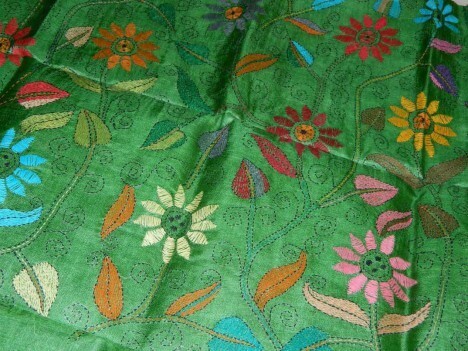 Floral hand embroidery is done on it all over the front body. It looks pretty for its color.